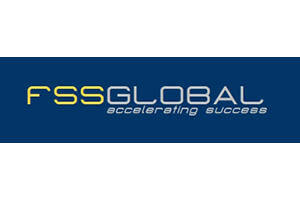 FSS Global group of companies exists for almost 12 years and started in Romania as one independent consultant. Today we are a team of 16 people located in Europe and US and company has presences in Bucharest, London, Dublin, Prague and San Diego. Our key expertise lies within the deep understanding of business processes and wide experience in system roll-outs. We have the experience of global projects, process and information standardisations and complex group reporting. Our services are related to ERP solutions along with key connected systems for banking, contracting and procurement, business intelligence. Over the years our main customer has been Royal Dutch Shell Group and its subsidiaries. We were part of standardisation project teams and global implementations both in Upstream and Downstream businesses. We helped on migrating finance processes to Shared Service Centres. We carried on M&A projects in Aviation, Supply and LPG, setting up ERPs for the new joint ventures. We have in our team very senior people having between 10 to 30 years of global ERP projects in Shell. Our projects covered Europe, Middle East, Asia, South America, Africa and Australia. We’re proudly having today customers in Spain, Italy, Romania, Croatia, Russia, US and Malaysia.